Do you have dry, damaged hair? Do you use hot styling tools frequently? You must have skipped one crucial step all this while – using thermal protectant hairsprays. Exposing your strands to high temperatures without a protective layer means destroying the vital proteins in your hair. To curb these issues, all you need is a tool that will help you maintain healthy and damage-free hair – a heat protectant hairspray. 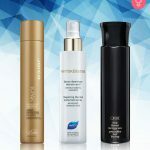 I’ve compiled a list of best heat protectant hairsprays available on the market. Take a look. There is nothing you will not love about this hairspray – it is a professional styling product used by most stylists. If you are looking for a product for salon-styled hair, this is the ideal product. It is ultra-lightweight and smooths even the most unruly of hair. It contains UV absorbing molecules that offer UV protection while adding shine to your locks. 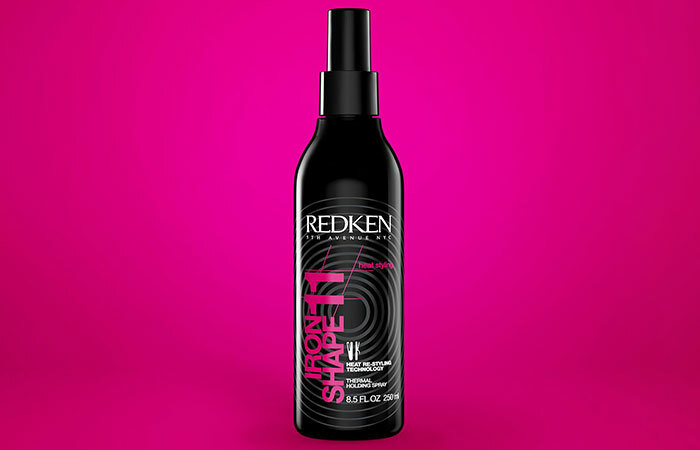 This hairspray forms a sheer layer with its exclusive silicone complex that provides smoothing and thermal protection. If there’s a list on heat protectant hairsprays, HSI Professional Thermal Protector has to be on it. A few hits of this can give you vibrant, silky, and shiny hair. It is lightweight and protects your hair from heat exposure up to 450° F. This hairspray can be used as a conditioning serum to get salon-like hair. It is infused with antioxidant-rich argan oil and vitamins. These ingredients hydrate, detangle, and nourish your locks. The spray creates a protective layer between your hair and the heat styling tools, leaving your hair healthy and manageable. Create the look you desire with this pre-style hairspray. It provides an invisible barrier against heat damage. 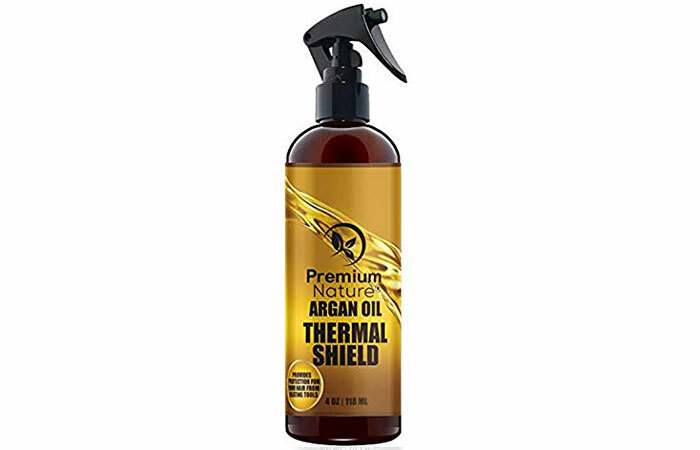 It is formulated with the new heat protection system that makes it a perfect layering product for every style. It prevents breakage and leaves your hair feeling soft and silky. Spray some of the product from root to tip before the blow dry. This will not only keep the hairstyle intact but also add sheen to dull and flat hair. If you have a thick mane, apply this product on damp hair for better results. For those with long hair, 6-8 sprays are good enough. 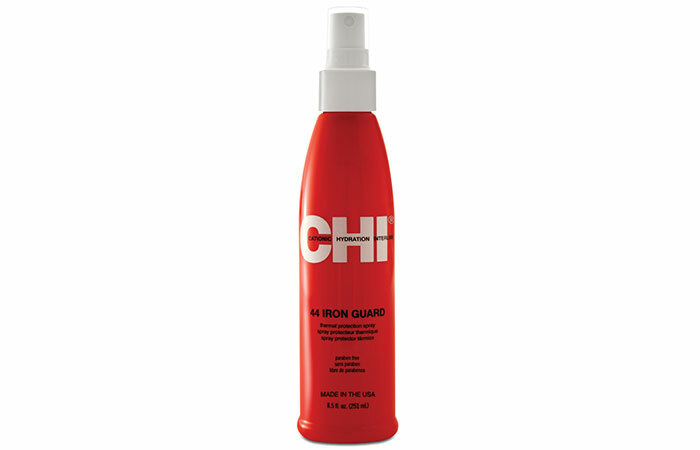 CHI’s thermal protection hairspray will keep your hair safe against any degree of straightening and curling. This spray is one-of-a-kind as it works on the surface layers of the cuticles and also from within. It helps protect your hair from breakage and damage. This weightless formula does not add build up and gives maximum protection to prevent future damage. It contains vitamins and proteins that add moisture to your locks. It is suitable for all hair types of variable length. This styling spray provides thermal protection up to 428° F. It contains a weightless formula that is ideal for fine hair. It tames unruly wild hair and controls frizz. The formula is non-sticky and easy to work with. The product claims to hold any hairstyle up to 60 hours, which is a lot! Also, it is humidity-resistant, which helps in keeping your strands clean and free of oil. 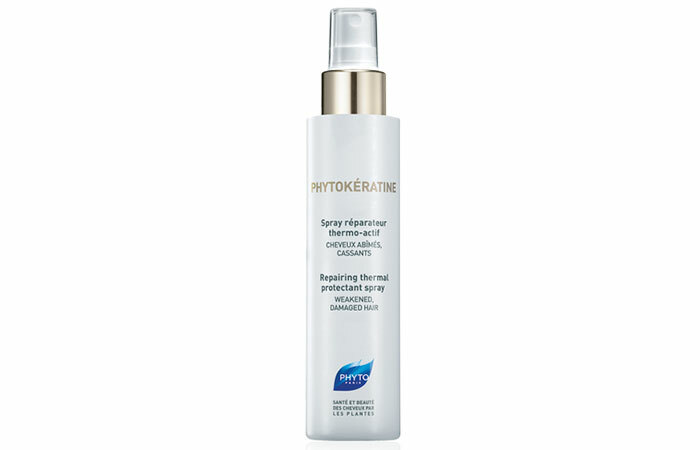 Along with protection, this spray moisturizes your hair and prevents any future damage. With this product, you can achieve salon-like silky hair. This hydrating hairspray detangles your hair and creates a protective layer around each strand. It minimizes breakage and delivers a smooth finish to your locks. Besides protection, it gives strength to the follicles, making your hair healthy and damage-free. It claims to protect your hair up to 400°F. 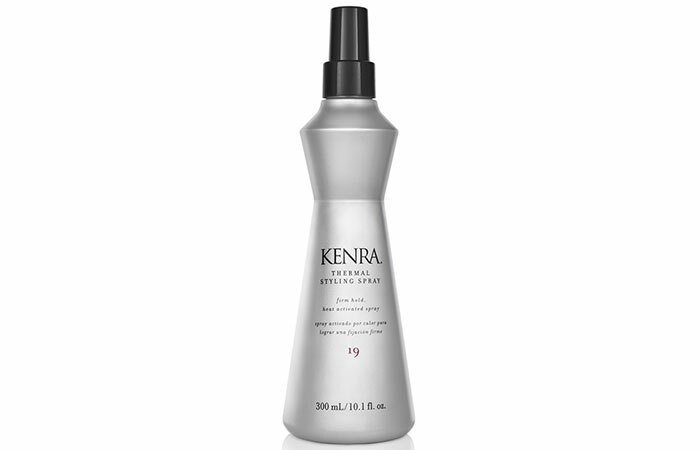 This feather-light conditioning spray is ideal for all hair types. It is formulated with instant-shine boosting technology. Hence, within a couple of short bursts, you can see noticeable shine and softness. 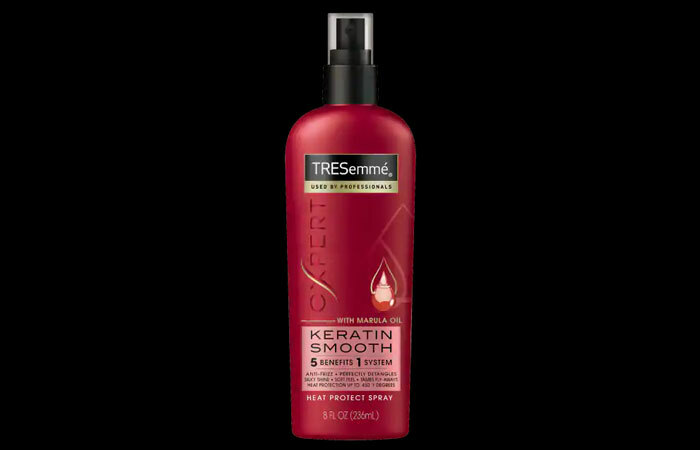 TRESemme Keratin Smooth Heat Protect Spray helps shield your hair against the damage caused by heat styling. It provides five benefits – fights frizz, adds softness, tames unruly flyaways, detangles knots, and imparts shine. It can protect your hair up to 450° F. It claims to give you salon-quality silky hair. For those with dry strands, this product can do wonders as it prevents split ends and breakage. 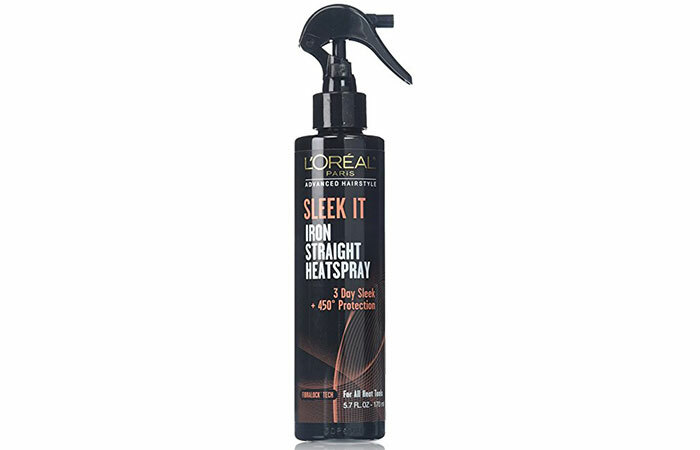 This high-performance, lightweight heat spray offers heat protection up to 450° F. This hairspray is ideal for those who straighten their hair regularly. It is formulated to protect your hair from heat damage, frizziness, and breakage. It claims to seal the cuticles with silk proteins and block humidity. This way, your hair is conditioned and nourished for three days. This product also gives excellent hold without feeling heavy or greasy. This lightweight hairspray protects your strands from flat irons and curling tools up to 450° F. It reduces frizz and imparts shine. The formula is packed with vitamins that nourish and condition damaged hair. It contains Xylose sugar, ceramides, and cranberry oil, which help moisturize and condition your locks. With the new heat restyling technology, you can apply the product once and restyle any number of times. 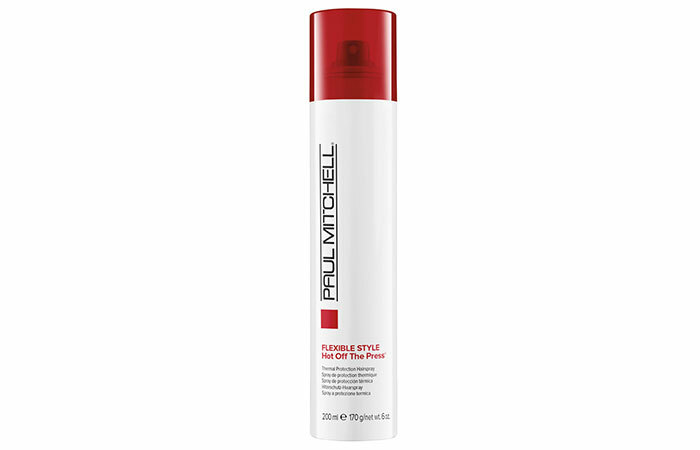 Paul Mitchell’s Hot Off The Press Hairspray protects fragile strands from damage caused by heat styling. It strengthens the follicles and fights frizz. This hairspray contains rice hull extracts that help build a barrier between your hair and the styling tool. It also adds shine and provides flexible hold. With little product, you can create curls or straighten your hair effortlessly. The lightweight formula goes easy on your strands and does not weigh them down. For those with fine and limp hair, this product claims to add body and create a voluminous look. 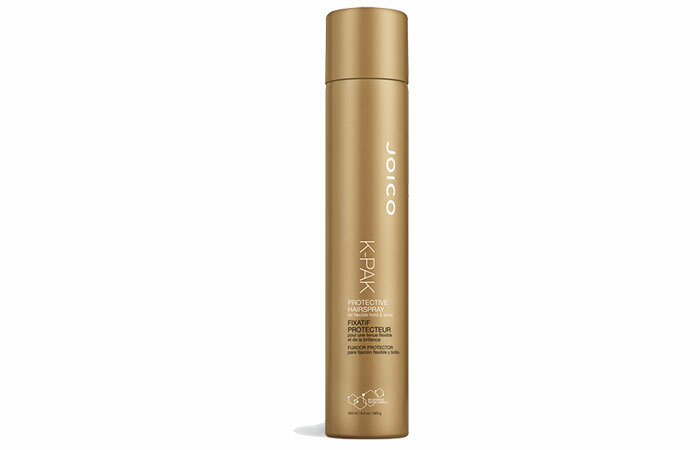 Joico’s first-of-its-kind thermal protective hairspray is infused with Bio-Advanced Peptide Complex to maximize protection and repair every strand from within. It contains a range of antioxidants and botanical moisturizers to nourish the follicles. It claims to give your hair salon-like finish. It eliminates frizz and breakage and imparts luminous shine to your locks. This hairspray claims to hold hairstyles of any length without weighing your hair down. This fortifying thermal hairspray is infused with argan oil and other natural ingredients that strengthen your hair and prevent damage and breakage. It heals dry strands by imparting moisturizing properties to the cuticles. It claims to enhance the appearance of your hair by making it smooth and silky. Besides argan oil, it contains hydrolyzed wheat proteins, amino acid, and vitamin E. These ingredients replenish the strands and improve the texture. This humidity-resistant hairspray protects your hair from drying and damage caused by flat irons and hair blowers. It creates a protective layer around each hair strand and optimizes the effect of heat on the strands. This hairspray also seals the cuticles with conditioning properties to give you silky, smooth, and healthy hair. It claims to detangle your hair and provide a luminous shine to it. 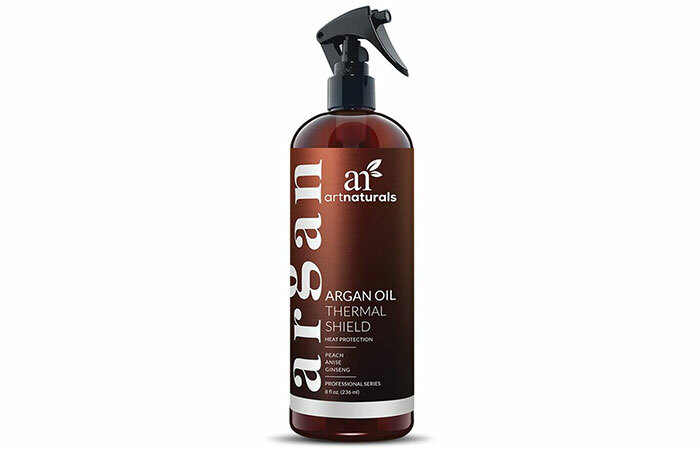 This argan oil-infused hairspray helps prevent damage and breakage. It contains extracts of ginseng, anise, ginkgo biloba, Irish moss, and peach to rehydrate dry and limp hair. It claims to protect your hair against the damage caused by blow drying or flat ironing daily. 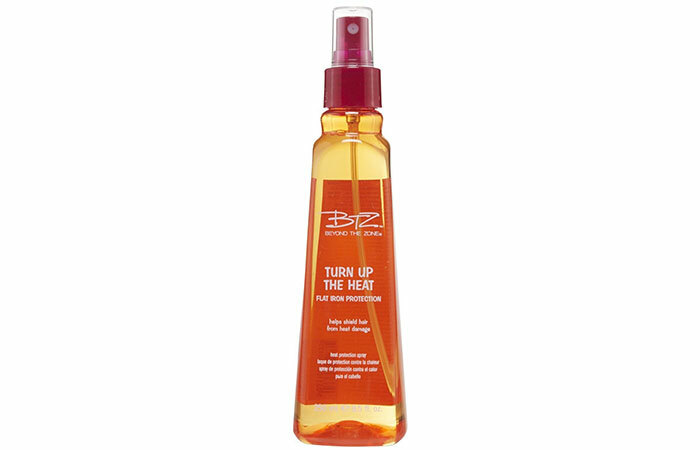 The natural oils and proteins in this spray help smooth frizzy and unruly hair. It coats the hair shafts with smoothing agents and helps invigorate the follicles. Even if your hair is exposed to the sun for long hours, the UV defense complex in this product keeps it protected. 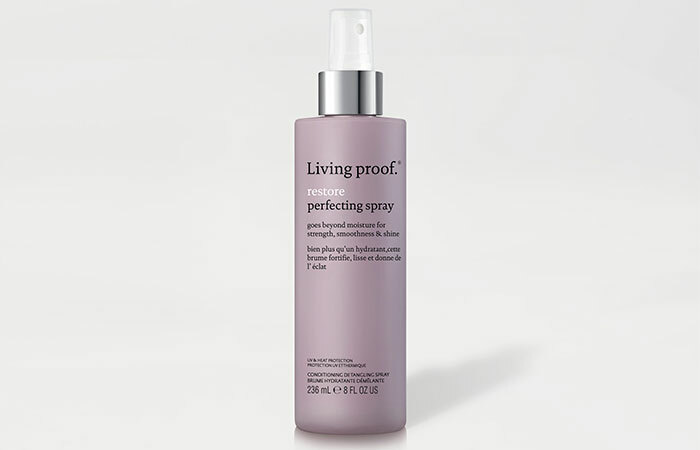 This thermal protectant hairspray is infused with botanical keratin that prevents breakage. It is ideal for weak and brittle hair. This heat-activated hairspray reconstructs the hair’s internal shaft structure, giving you soft, silky, and damage-free locks. Ideal for frequent users of heat tools, this spray can work wonders as it helps cover dry outs. It adds long-lasting shine and promises to fix any hairstyle. 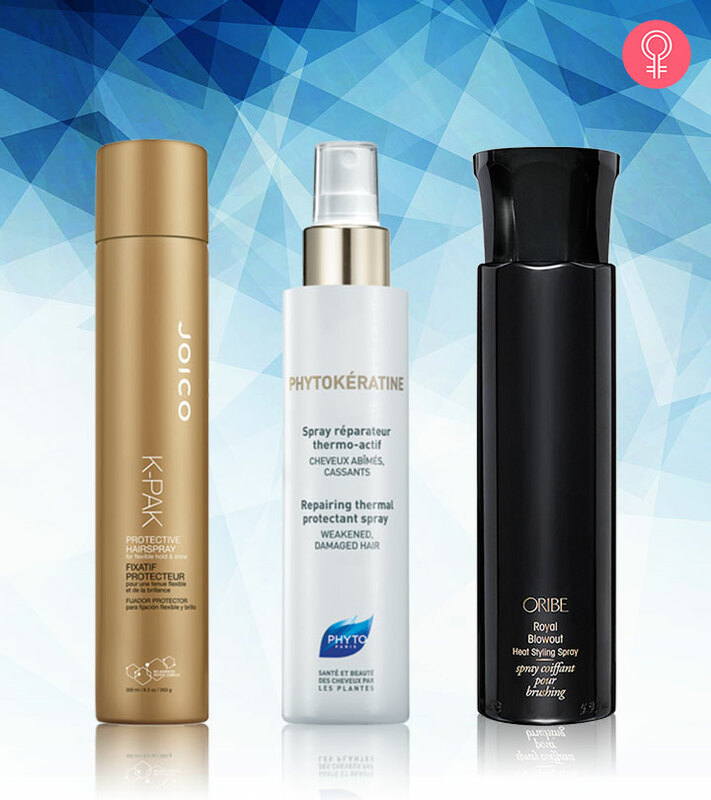 Now that you have these amazing heat protectant hairsprays in your arsenal, straighten and curl your hair without fear of damage. Get hold of your favorite product from this list and give it a try. Let us know about your experience in the comments section below.